Located in New York (Bowery), Bowery Grand Hotel is within a 10-minute drive of Brooklyn Bridge Park and Brooklyn Bridge. 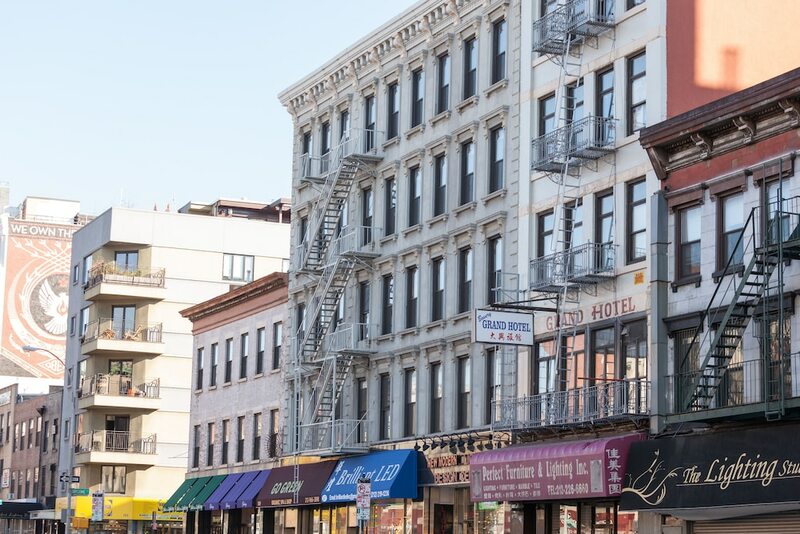 This hostel is 1.2 mi (1.9 km) from New York University and 1.2 mi (2 km) from 5th Avenue. Make yourself at home in one of the 30 air-conditioned guestrooms. Complimentary wireless Internet access is available to keep you connected. Bathrooms with showers are provided. Featured amenities include a 24-hour front desk and luggage storage. A shuttle from the hotel to the airport is provided for a surcharge (available on request). Bowery Grand Hotel features tour/ticket assistance. Wireless Internet access is complimentary. For a surcharge, a shuttle from the hotel to the airport (available on request) is offered to guests.